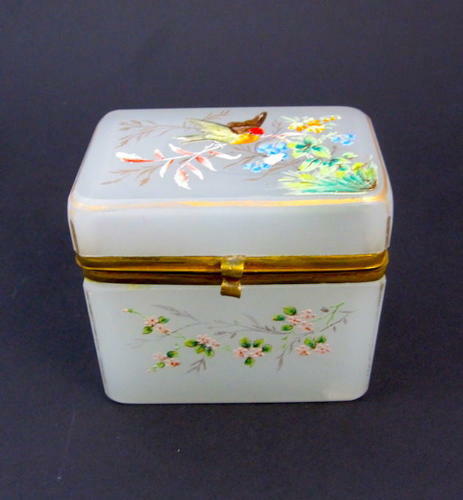 Pretty Antique Miniature White Opaline Glass Enamelled Casket Box with S Shaped Clasp. The Lid Enamelled with a Bird and on a Flowering Branch. The Front also Enamelled with Pretty Pink Flowers.